The straight line belongs to man. The curved line belongs to God. 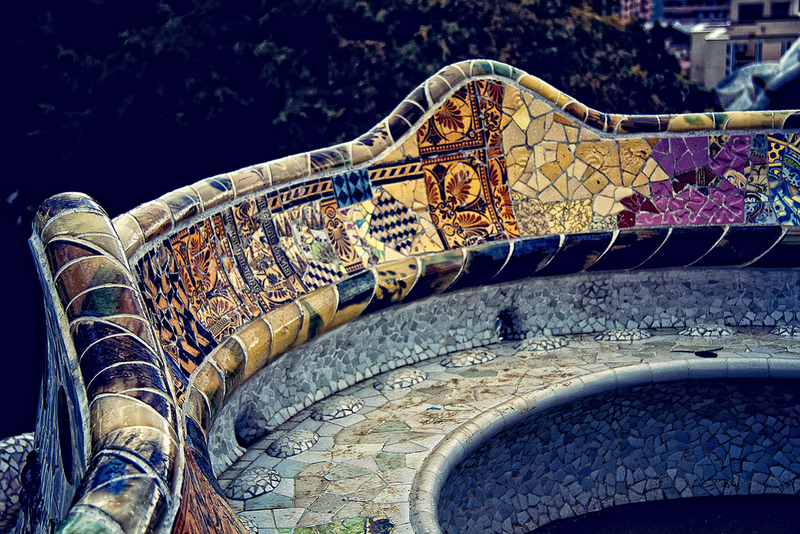 Park Guell, designed by Barcelona’s favourite son, Antonio Gaudi, is a frothy concoction of imaginative design and natural beauty. True to his beliefs, there is hardly anything straight about Park Guell. 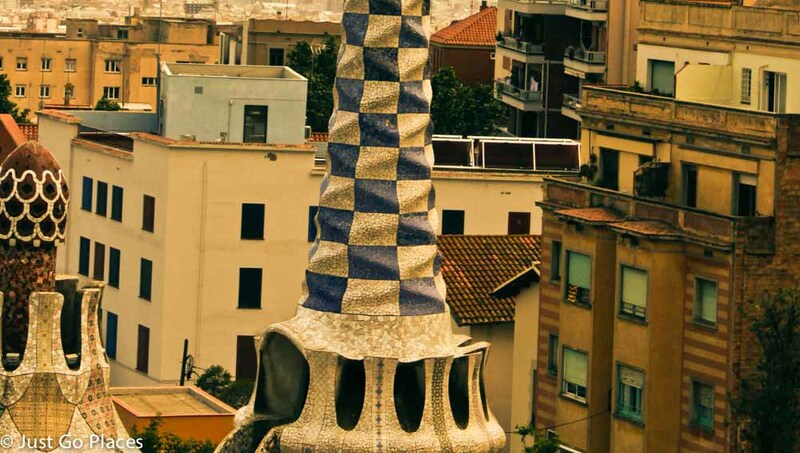 When you are visiting Barcelona even for a weekend, Park Guell is a must-see destination in the city. 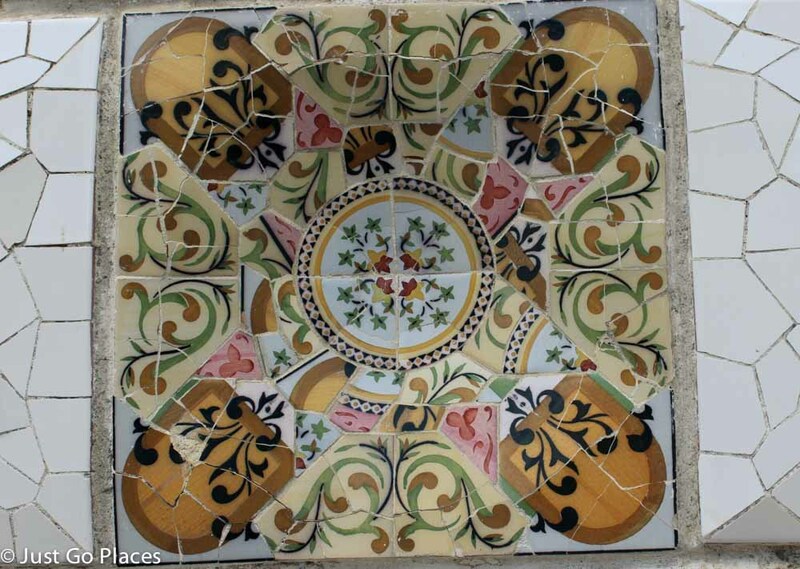 Park Guell was supposed to be a residential development for the aristocrats of Barcelona. 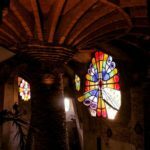 The developer, Eusebi Guell, commissioned Barcelona’s leading Modernist architect, Antonio Gaudi to make his vision a reality in the early 20th Century. 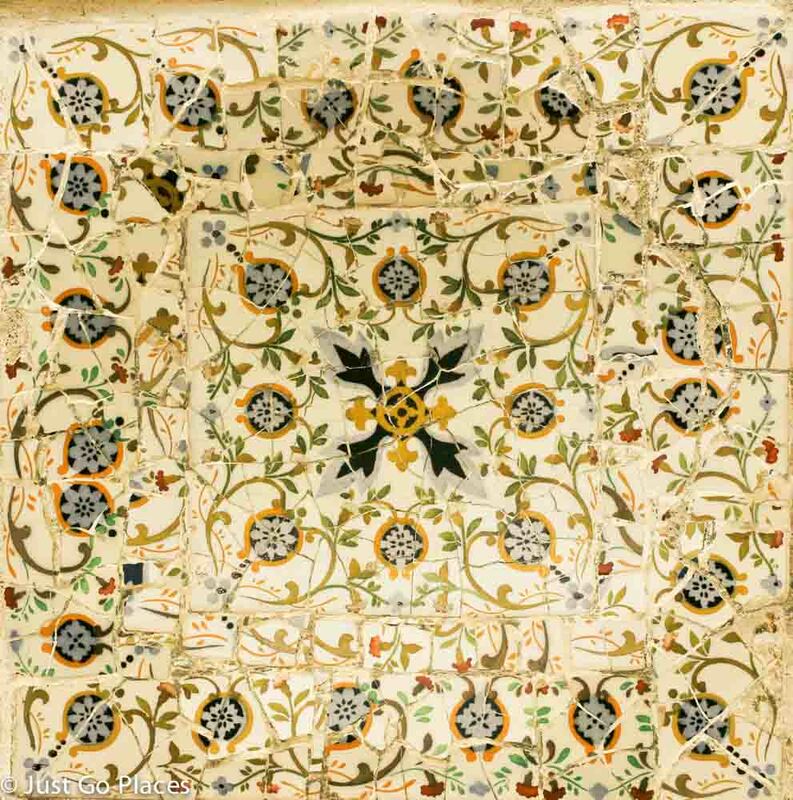 Modernism was Barcelona’s answer to the Art Nouveau style in fashion elsewhere in the world. In the late 19th Century, Barcelona was a booming city and the future seemed bright. 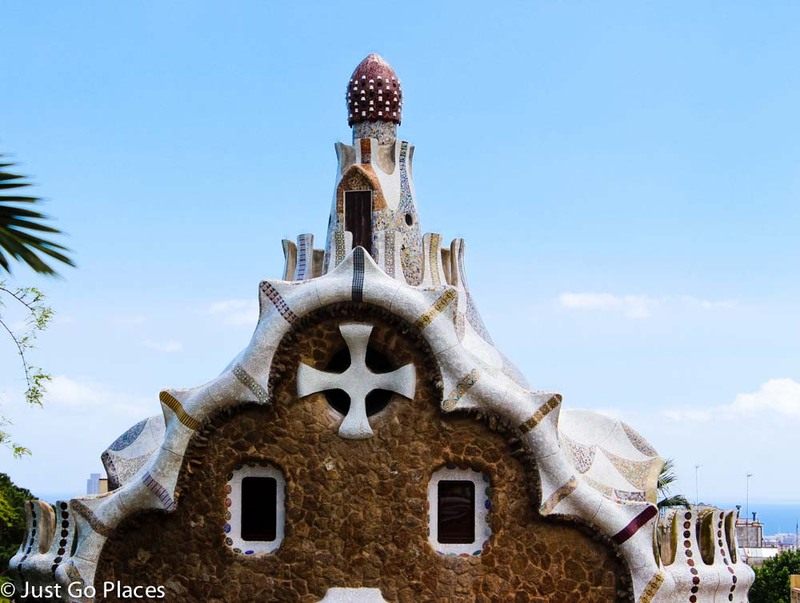 Park Guell was supposed to have 60 single-family residences in a stye similar to British residential parks (such as John Nash’s famous Regents Park). Unfortunately, restrictions on building and lack of transportation made the project unviable early. With only 2 residences built, the rest of the development became a residential park. 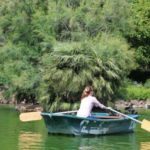 The park was given to the city of Barcelona in 1923. 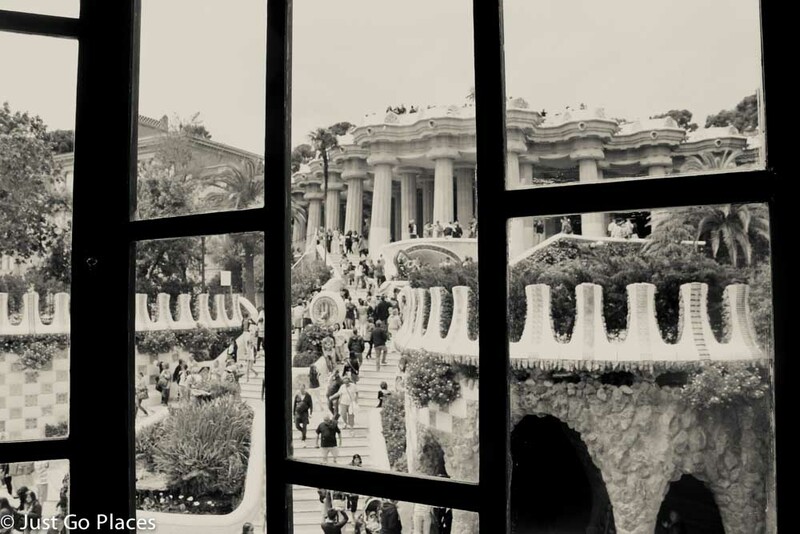 Eusebi Guell lived long enough to see Park Guell become one of the most famous attractions in Barcelona. In 1984, it was declared a UNESCO World Heritage Site. 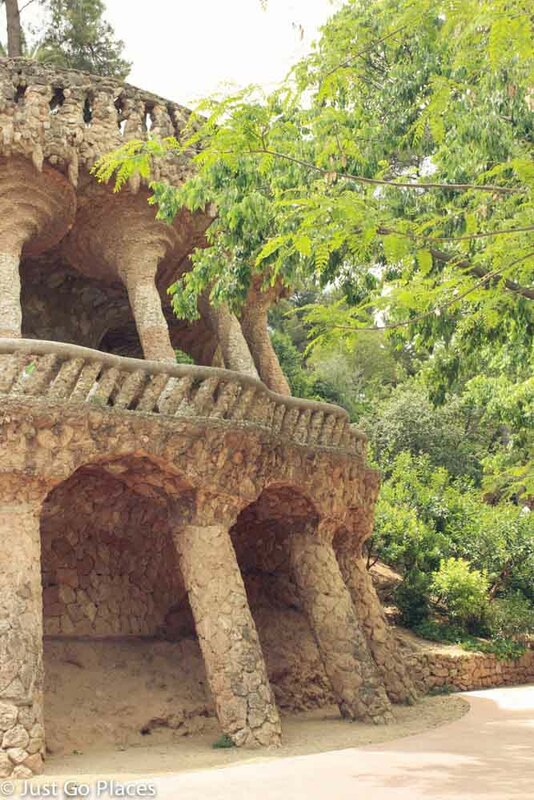 From the main entrance, you can see that Park Guell is as imaginative as they come. The grand staircase is fashioned with dragons. The iron gates are decorated with giant leaves. The top of the Park has a terraced area from which you can see Barcelona spread out below. The balustrade of the terraced area also forms benches for seating. It curves around the top of a columned structure at the entrance to the Park. There are 84 columns and originally this area was supposed to have been the market area for the residential development. 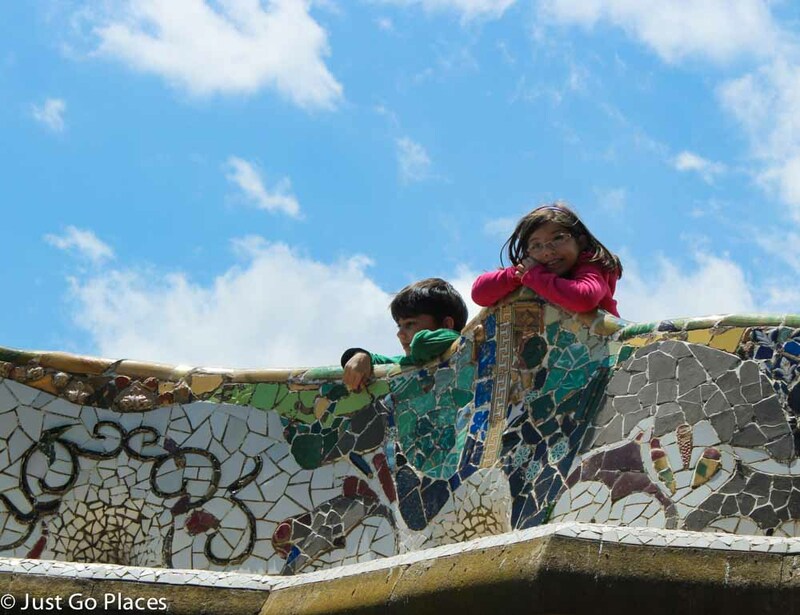 The park is full of stone structures and beautiful mosaic stone artwork all of which showcase Gaudi’s vivid imagination. 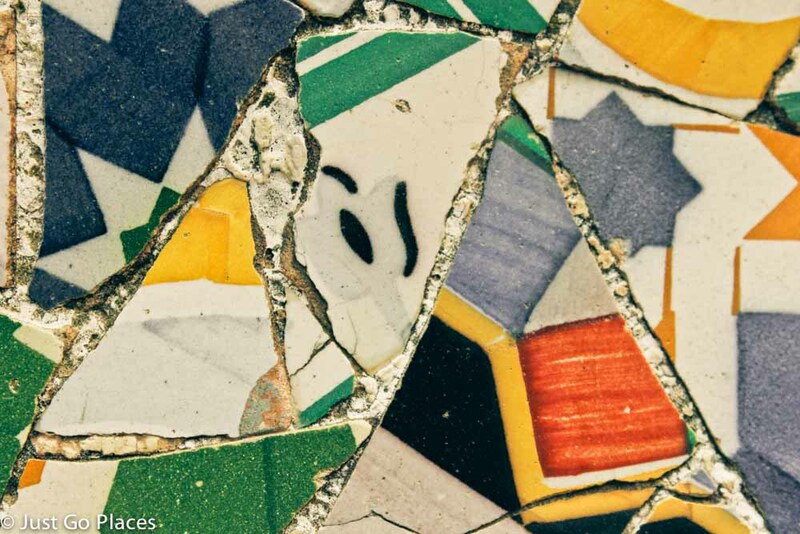 This type of mosaic is called ‘trencadi’s and is made up of broken tile shards, an early form of recycling! The pathways meander around the park and it was really fun for the children to run around. This leaning structure reminded me of Alice in Wonderland where things that were supposed to be one way weren’t. Curiouser and curiouser. We went on a Saturday and it seemed a lot of Barcelona was also at Park Guell. One group was having a birthday party and picnic. 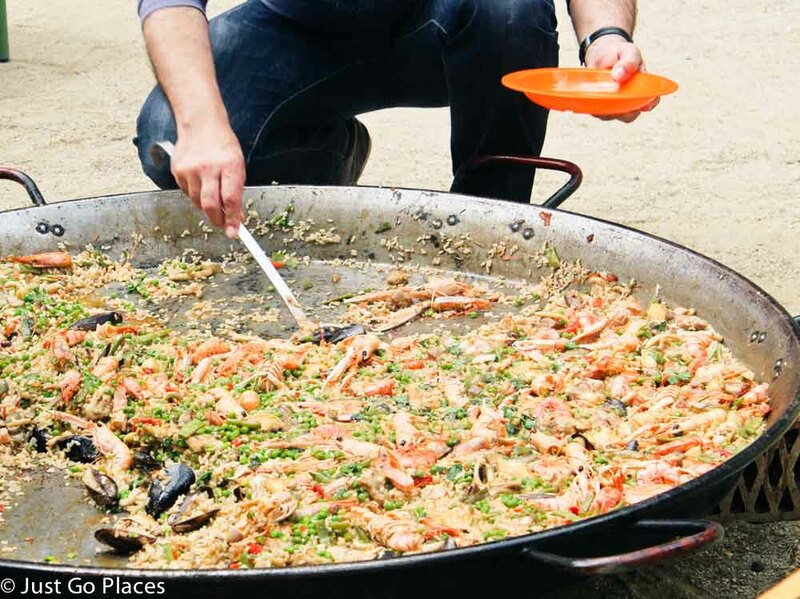 They had the biggest paella dish I have ever seen. Park Guell is a UNESCO world heritage site and one of the many things to do in Barcelona related to Antoni Gaudi. Although the park has three entrances, the main entrance is off Carrer de Larrard. The park has a ticketed area (children under 6 years old free) and a non-ticketed section. You can buy tickets online up to three months in advance. Tickets are limited to 400 every half hour in order to avoid overcrowding. Park Guell is open all year round and gets a lot of visitors. As crowded as this Park is, you can easily slip away and have some peace and quiet to yourselves.